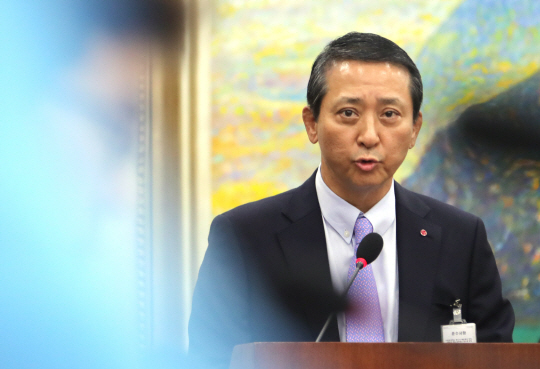 SHANGHAI -- LG Uplus Vice Chairman Kwon Young-soo said the company‘s 5G deployment plan is being carried out smoothly as planned, owing to Huawei. “Quality, performance and delivery of 5G equipment are meeting our expectations as Huawei is advancing ahead of other vendors,” Kwon said. “Huawei has the fastest and the best function out there,” said Kwon, to a question whether the firm would continue to cooperate with the Chinese firm. Vice Chairman Kwon was attending the seventh edition of the Mobile World Congress Shanghai, where global telecom industry officials, analysts and media discussed how rapidly China is moving toward the new 5G network era. South Korean mobile operators are in the midst of examining technologies and specifications of 5G equipment and devices in the works by such companies as Huawei and other global vendors such as Nokia and Ericsson, with a schedule to announce final contractors by the third quarter of this year.